Jim, so nice to get your card. I've never forgotten you and never will. If I ever need remodeling again, I will call you, no one else. Wishing you a prosperous New Year. Honestly, I see a lot of contractors work and by far yours is some of the cleanest and best reviewed I have seen and I am glad to be working with you! I recently had an issue with a patio door that I bought in 2003 from a company that I thought was Republic West Remodeling, Inc. I found that the company I bought the door from was no longer in business, but a gentleman from the company came out to my home and inspected the door. He confirmed that the door was not purchased from their company, but he made arrangements to have his repair specialist come out and take a look. Long story short these people went above and beyond anything they were obligated to do. They saved me from having to buy a new door! And it's operating beautifully now. If I ever have need of their services in the future, I would not hesitate to call them! Our experience with Republic West was terrific from the moment we called them. They are very professional, courteous and budget conscious. Arthur's designs exceeded our expectation, Kathy was invaluable in helping us pick our tile and fixtures and the teams that worked in our house were wonderful. We could not recommend them enough. Thank you! Just wanted to tell you that this is the 9th Christmas since you renovated our "then" just purchased house..and in all this time..we have had not one issue. In fact we just had our smoke detectors all replaced and the electrician told us we "were among the few" whose house was rewired properly. In the interim, our house became party central for the "hood." And I continue to praise your company on our neighborhood website. So thank you. RWR has such a great group of people, both RWR staff and the subs. Everyone I dealt with was respectful, helpful and competent. Although there were a few hiccups along the way, Kevin and the crew met the challenges and I now have two beautiful bathrooms and an awesome kitchen. Thanks to you all for the great job and for alleviating any stress I may have had before the project started. I would definitely recommend RWR to everyone. We’ve lived in our home for a few years and while we always suspected we’d want to remodel eventually, we wanted to take some time to "feel out" the space. We did do some remodeling in the exterior of the home but earlier this year, we decided it was time to work on the interior as well. We were working with a home stager named Connie, from Staged by Sunday, who had some ideas on what we should do with our kitchen. She ended up recommending that we get in touch with Arthur Gambino, a spatial designer from Republic West Remodeling. Our initial meeting with Arthur was great. He had some great ideas and we really appreciated his perspective and his honest opinion on things. He stood by his opinions and let us know if agreed with our opinions on design or not. When we came up with ideas that would not have worked well with the new design, he let us know, which we appreciated. For example, we were told in the past that our patio doors could not be made higher and Arthur recommended that not only could it be done, but highly suggested we make the change. We trusted his judgment and we couldn’t be happier with the end result. That said, he was certainly willing to listen to our opinions and he was always ready to provide us with new ideas throughout the evolution of the design. Overall, Arthur encouraged an inclusive and collaborative relationship throughout the design experience which we really enjoyed. We really felt like we were part of a team effort. We’ve worked with remodeling companies in the past but never had someone who would sit down with us for three hours at a time to review all of our options in regards to design, budget, etc. Past companies were not nearly as flexible/amenable as Republic West – the former companies would often present an idea and basically say "take it or leave it". All of the Republic West Remodeling team members were a pleasure to deal with. Our interior decorator, Kathy, was great. We originally had no idea what to do about our floor but she was able to tell us that it’s such a big floor and we should do something really big, cool, and bold. She gave us several flooring options and we really valued her professional advice. She also came up with a really neat stair design to help it feel less steep/abrupt and we even added some really intricate tile-work to the stairs. Kathy also got us great discounts and appliances. She was truly an indispensable team member wand saved us an incredible amount of time and energy. Another thing we appreciated was their commitment to their original schedule and the level of communication and involvement they provided during the remodel. The overall process from demo to finish took a little longer than we had thought it would (prior to meeting with RWR) but they were completely reliable and committed to their proposed schedule. We were out of town during the remodel but we were constantly updated with any changes from a team member, Greg. He would even FaceTime us while we were traveling and literally walk us through any new updates. The one time we did get behind schedule is because he wanted to wait to use certain team members with a specific expertise to lay the floor because of the unique pattern. The team was also very neat and organized and respected our home. They asked if they could use the garage the store things and they cleaned up after themselves daily and even brought their own dumpster. I had to come home briefly and they created a nice neat path for me to get to my room during the construction period. Overall, the process was great! We are very satisfied with our experience. We would absolutely recommend them to anyone. Everyone who has seen the before pictures of our home thinks the finished product is absolutely phenomenal! To all the wonderful people who participated in our home renovation - we wish to express our sincerest thanks. It was long, tedious and tiring but the workers of RWR usually made it "less eventful" by their assurance and ability - always solving the problem that came up. I can’t say enough about Kathy who took many phone calls from me and answered all concerns with the patience of Job. Byron, our project manager, took the occasional "heat" of my anger and handled it with extreme tolerance, respect and understanding. My admiration grew the longer we worked together. He deserves the medal of honor! Dan, Oscar and Steve will truly be missed. Their work ethics and knowledge are fabulous! They too respected our home and my expectations and even maintained a sense of humor. I sometimes felt entertained while they performed their duties. The sub-contractors, Phil, Cameron, Carlos, Jay, Enaj and Slofo are the best and performed amazing work. We are truly enjoying our "new look" rooms. Jacque,We love the results. Your design ideas truly worked with our vision for a new Kitchen and Master Bath.Kathy, Thank you for your patience taking us from place to place until we found the right fixtures and stone and tile to match the colors of our remodeling. Daniel, You and your crews did a wonderful job making sure that the project was on time. Your crews kept finding valuable changes and improvements for us to consider. You appreciated that we had to still live in the chaos.Jim, We love the results. Thank you for having a Company that truly believes and produces the Customer Service Culture that you want. We look forward to working with all your staff on Phase II. Please thank everyone that had a role in the project. "That was the best investment we have made in all the years at this address. As you promised, the noise from 59th Ave has been 95-98% better. We don’t even hear the fire trucks anymore." Our latest Handyman for a Day Winner had us spice up her kitchen for Fall and here is what she had to say, "Thank you so much for the handyman for the day! Huge difference in the look of my kitchen." We were really at a crossroads with our home. We LOVED the location and golf course lot, but there was no question we wanted more space. We were either going to renovate and expand, or move to a different home. Arthur Gambino really took the time to listen to our wants and needs. During the process we determined there were a few “must haves” - a larger garage, a user friendly mudroom/laundry room, more bathrooms to accommodate the growing family and visitors, a private office, and an entertainment room that would highlight our backyard and provide a separate space from our main living room. With our list and Arthur’s vision, he helped to create a beautifully designed space that suits our family perfectly. Kathy Molnar guided us in selecting all of the tiles, granites, lighting, and finishes that completed the vision. We would have been lost without her guidance. Pete Limon was a huge asset in keeping the project moving along and guiding us with daily decisions. Living in the home we were renovating with a toddler, husband, pregnant wife, and an active dog had some challenges, but the RWR was outstanding. Peter Limon and Jack Plemons did everything possible to accommodate our day-to-day life, and made the experience as seamless as possible. Even with the extensive project we had, we were never without running water, laundry, and toilet facilities. Our timeline was met with only small finishes needing to be completed a week or two later. We did exceed our budget, but that was mainly due to the finishes and upgrades we chose to do after the fact. We are thrilled with our end result. Now that it is complete, we cannot imagine not having done the addition and renovation. We use every part of our house every day. We have and will continue to recommend RWR to many. We have signed a contract but at this point work has not started on our home. So far they have been very professional and fine to work with. We just had our kitchen cabinets refaced and redesigned for new appliances from Republic West. 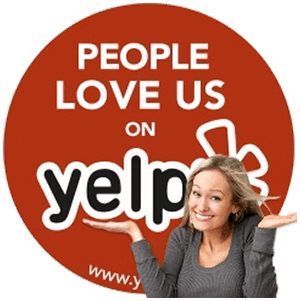 We are so happy with the job that they did, and would highly recommend them to anyone! From the beginning to the end it was very easy working with the people in the office and with the workman who did such a great job! They helped us with great suggestions and great ideas to have our dream kitchen. We love it! This is the second time I have used republic west remodeling and I can honestly say that the quality of work they did was excellent again and they kept to their time schedule. The first time they totally remodeled our bathroom,closets and our master bedroom. This time was new flooring throughout the house and remodeled our laundry room. They are very accommodating and go the extra mile to please you. I am not sure if they are the cheapest because I did not shop there pricing.the peace of mind far out ways any savings if any. They also helped with designing and decorating. I would not hesitate to use them again. I am writing this just as the total kitchen remodel project for which I hired Republic West Remodeling is coming to completion - today! This included complete replacement of all kitchen cabinetry, sink/faucets, electrical/lighting and even the half-removal of a floor-to-ceiling wall to provide an open view between the kitchen and living room. I have used Republic West for major projects in the past - a similar complete remodel of our master bath complete with replacement of tub, shower, sink and all cabinetry, and the replacement of all of our windows with R-10 insulated windows for more efficient energy usage. Republic West provided excellent service for both of those prior project several years ago and so there was absolutely no one else I would have considered hiring for this current kitchen project. Having a kitchen remodeled was about the most painful ordeal I can imagine and one which I undertook only as a result of extreme necessity and duress. (There is nothing like being without a dishwasher or a kitchen sink and having to wash dishes in the bathtub for an extended period). However, because it was necessary and unavoidable, I concluded correctly from past experience that there was no company I would rather have handle this task for me than Republic West. It was a pleasure working with Arthur Gambino again, and getting the personalized consolidated touch from all facets of the company from plan design to decorator/supply consulting and shopping assistance to the actual construction itself. The overall construction project, which required multiple subcontractors from multiple areas of speciality and expertise, was handled masterfully and efficiently by Aaron Weisman, who kept in close daily communication with us by email every step of the way and consistently worked with all of his subcontractors to ensure every step of the project was completed on or ahead of schedule. I especially appreciated the fact that one of the workers, Robert, went beyond the scope of his usual duties to complete the plumbing portion of the project a day ahead of schedule when it turned out that the plumbers normally responsible for that part of the project were not going to be available. The project was completed according to plan and the final results are spectacular and even better than I had expected. As another review mentioned, a Republic West job is not cheap, but any premium is well worth the guaranteed efficiency, professionalism, and quality provided by this fine establishment. Aaron at Republic West organized the installation of our new kitchen granite counter tops, they look great and the kitchen was usable in a very short time. We remodeled the wood cabinet area, plumbing,electrical and counter design, it all came together great. Thanks Aaron! We just finished our Master Bedroom/Bath/Closet remodel with Republic West Remodeling and they did a great job. We first met with Jacque, who was excellent with her design and incorporated the details that we were specific about. And Kathy the interior designer was very helpful and patient as we picked out all our fixtures, marble, tile and chandelier. We cannot say enough good things about our Project Manager Aaron Weisman. He was so professional, courteous, and very accommodating. We always knew what crew was arriving each day, and the work that was to be accomplished that day. There was a week, we were on vacation and felt very comfortable leaving with the lockbox in place. Each night we received an email detailing the work that was done. Overall great experience, and now thoroughly enjoying our bedroom retreat!!! We are half-way through the renovation of all three bathrooms in our home. The first two are now finished and work on the Master bath is currently underway. We could not be more pleased with the outcome so far. From the beginning Republic West Remodeling staff has been professional, informative and responsive with the workmanship being of the highest quality. We began with Steve Yeomans who listened to our wants/needs and went beyond our expectations with design plans. He made several suggestions that made better use of our current space without major overhalls to the floorplan. We then met with Ken Guest & Aaron Weisman who did a line item walk-through of the scope of work for each bathroom which elimated any guess work once the project began. The level of detail is amazing and prevents major issues popping up mid-project. Republic West Remodeling provides an interior designer, Kathy Molnar, who shopped with us and guided us as we picked out fixtures, granite and tile for each space. She picked up on our style preferences right away and made what could have been a very daunting process fun and efficient. She provided input when asked but encouraged us to choose items that we connected with, making sure each piece worked together to provide the overall design style we wanted. Aaron Weisman is our project manager and has been absolutely fantastic. We are provided daily updates, he answers our many questions and has ensured the overall project has remained on schedule. The entire process has been highly organized with clear project timelines but when things seem like they are going a little off schedule, Aaron somehow gets it all done and makes sure we don't lose any time. Most importantly, Republic West Remodeling has taken great care of our home and dogs throughout this remodel. There has never been a time when I am concerned about who is in our house and at the end of each day our home is clean and secure while our dogs are kept safe and as stress-free as they can be in a construction environment. We receive reports on how the dogs are doing when asked which has provided great piece of mind. I highly recommend Republic West Remodeling for any home project and would most certainly use them again. We decided to remodel a kitchen and great room after buying a house since the design and style did not reflect us. After conducting due diligence and research on Republic West Remodeling (RWR) we contacted one of their designers, Jacque. After a series of meetings and discussions and a delay I had to initiate and then some modifications to the original ideas, the project started. At each and every step of the way, RWR was professional and transparent. We were impressed with process in providing a notebook to us with datelines, drawings, blueprints warrantees on workmanship, price, contacts if needed, and where to go to buy appliances, lighting and plumbing. In fact a home decorator, Kathy, accompanied us and made the process easier. On the project there was a foreman, Henry, a project manager, Ann, and additional skilled workers such as Steve. I mention these employees by name because they were outstanding in every aspect of the project. On a daily basis we interacted, resolved any issues that came up, if any at all and each one in their particular skill area made the project stick to the deadline they had formulated. They entire team exceeded our expectations and made the entire process of some 5 weeks satisfying as we watched the complete demo of kitchen and great room wall and then the step by step rebuilding of both rooms into a kitchen and great room we are proud of and we have gotten many compliments. Ann is what every project manager aspires to be. She managed as many as 8 different sites and was always available to answer questions and resolve any issues in person or on the phone. This went a long way in establishing the best customer relations I have ever encountered. Henry made assembling a giant jigsaw puzzle simple and caught a couple of measuring errors that were made during the initial review of the project. He fixed it, improved on it, and turned an error into a home run. Steve is an absolute dream when it comes to making the impossible happen. His skill level in all phases of repair, assemble, and finishing a section is at such a high level that his workmanship and integrity are beyond question the best. I can't say enough good things about RWR and their team. Our future project of a remodeling of our master bath will be by RWR without hesitation. We chose Republic West to remodel our bathrooms because they did a wonderful job on our kitchen several years ago. We are very glad we did. One bathroom is very close to being finished and is beautiful. Ann Hendrickson is our Project Manager. She is terrific! She has handled all my questions and concerns in a prompt and courteous manner. All workers assigned to our job have been great. They are all a pleasure to work with. I highly recommend Republic West Remodeling! We have now completed our remodel. The bathrooms are beautiful. Matt, the electrician on our job was extremely efficient and a pleasure to work with. The tile team did an amazing job. The plumber worked on Saturday to get our job finished in a timely fashion. I have praise for everyone who worked on our job. Robert finished our job on Monday by installing all accessories in the bathrooms. Again, very efficient and pleasant. And then there is Ann. She handled all of my questions and concerns immediately. She is great. She communicated with me daily. I truly feel as though I have a new friend. Once again, I highly recommend Republic West Remodeling. Republic West Remodeling recently did a renovation of the master bathroom in our home. After the death of my father, my mother came to live with us. She has some physical issues, and we needed to create a handicap accessible bathroom for her. I felt this would be a challenging project, but the team at Republic West Remodeling were amazing. From the the initial design process, to picking out fixtures and materials, to the actual construction, the Republic West team walked us through each step and let us know what to expect. We had a detailed schedule. We knew who was coming to our home, and when. Every person who came to our home was professional and courteous. I have had nightmare experiences with other contractors in the past, but I can't say enough about my experience with Republic West Remodeling. The finished project is beautiful. The bathroom is fully ADA compliant. It is perfect for my mother's needs, but it still looks gorgeous. Republic West Remodeling did amazing work for our family, and I look forward to using them for our next project. Republic West Remodeling did a great job on my back yard living space - they did a great job, and their professionalism is unmatched! Highly recommended! Highly Professional, Great Process and Organization. High Quality work. We did both the bathrooms with RW last month. The sales process was very clean and professional. No Pressure whatsoever. The model and design was outside the box thinking. The process was very organized and highly transparent. As a project manager myself I liked the way they handled the planning. They completed the work as planned without too much overage. there were some minor hickups they resolved them without major issues quickly. Their workers were highly professional, and kept us informed of every step and treated the work site and our home with respect. They left the site clean and made sure that we had minimal disruption while they were working. They closed the punchlist promptly and had a granite countertop that their subcontractor fabricated wrong replaced very quickly, overall a very pleasant and easy experience. A couple of things to note: We were dealing with a ton of administrative staff, and found ourselves repeating ourselves a number of times till the project actually started. The Concierge shopping service they offered was useful, but we would have liked a little more background before the shopping appointment so that we did not feel dazed, we stopped oursleves and did our own research and slowed down a bit they assisted in getting their contractor pricing from several places. They cost more than the competition, but I felt that premium was worth it. I have worked with Republic West for home remodeling since 2006. Initially we wanted to update our kitchen and RW suggested re-facing our cabinets in order to modernize the kitchen without breaking the bank. Well 10 years later the kitchen is still one of my favorite redesigned rooms in our home. The expertise and workmanship has lasted well beyond our expectations. Fast forward 5 years to 2011 we decided to call RW again when we wanted to do a complete remodel of our master bathroom. The project was handled with exemplary care and with the finest and most precise detail. This project required complete removal of old plumbing and installation of new shower and steam room. A major project that went smoothly and on time. The crew from the various contractors (i.e. designers, plumbers, tillers, etc.) were all experts and completed the scheduled work on time. So now it is 2016 and we needed the outside house painted. While researching contractors for this project we came across RW again. We met with Dwight who was knowledgeable and informative of a product being used to protect the outside of the house with the option of lifetime warranty. Without hesitation we hired their services. We opted to use this product called Tank Paint, with lifetime warranty against cracks. But most impressive were the painters Sergio and his crew who work with RW. What a professional and well organized crew. Sergio fielded my questions with kindness and if I had any concerns he reassured me that the project was exactly as we had discussed and the schedule was on time. With explicit attention to detail, the job was done a day early! I can not say enough about the level of care, coordination, and professionalism Republic West provides. We will continue to use their services as the need arises and I look forward to working with them again in the future. I have had two projects completed by this company. A kitchen remodel in 2012 and a master bathroom in 2013. The kitchen went perfect and was exactly like it was pictured and envisioned. The master bathroom is also a great success. We did have a couple of issues with the bathroom. The project manager was not as responsive but the workers made up for his inattention. They were always willing to work with me and allowed me to do a number of items myself. This allowed me to keep the final cost down. I would recommend the company but be prepared to make calls to insure that you are getting what you want. You really need to do this with any remodeling project. I got an estimate from this company and the follow up was very professional. Even though I did not hire them at that time, I still have them in mind. Republic West Remodeling was first recommended to us by one of our neighbors. After seeing the high quality job of their bathroom remodel, we decided to give them a call. This is when we first met our designer, Arthur. Arthur made a very good impression and seemed very motivated and straight forward with us. We were ultimately impressed by his level of honesty as a salesman, as he simply requested a handshake agreement, as opposed to pushing us to sign paperwork before proceeding into the initial steps of our project. After a good first impression, we researched the company and reviewed their extensive portfolio of high quality remodeling jobs. After having them over for a second visit to take measurements and before pictures, Arthur came back to us with a computer rendering to give us a visual representation of what the remodel would look like. He always asked what we liked and tried his best to deliver that or improve upon it. The rendering we saw was exactly what we were looking for so we decided to proceed. The completed remodel is absolutely a dream come true! It truly turned our house into a beautiful home - we never thought it could have turned into something as beautiful as this. We especially want to recognize two team members who made this happen - Kathy and Henry. Henry, our foreman, was always there to help us with any issues that came up - no matter how small. He was always very detail oriented and paid attention to all of our needs. He always asked us what we liked and how we liked it. There were some small issues that came up along the way but Henry was always there to correct them. We had some bumps in the road but what remodeling projects don't? For example, we had an issue with a leaking toilet and in a matter of no time they came back and resolved it. Henry was always there to make sure the team was readily available to address our needs. Kathy, our interior designer was extremely helpful when making the best interior design decisions, whether it was plumbing appliances, paint, flooring, lighting - you name it! We had some trouble deciding what we like but she was always able to help make the right decision, while not being too pushy. Ultimately, she helped us understand exactly what we want, and we couldn't be happier. She has also always been available in recommending new vendors should any other interior design opportunities pop up. Overall, we couldn't be happier with our remodeling project! Everyone who has come over to the house is absolutely amazed. We would absolutely recommend Republic West Remodeling for other remolding projects. I first discovered Repblic West Remodeling from a home magazine and decided to check out the website and was very impressed with it. I set an appointment with the designer, Arthur Gambino and was, again, very impressed. Everything was spelled out and directly expressed through the blueprints and the computer rendering which were presented wonderfully. After reviewing the design work, I decided to proceed with the project. During the remodel, my home became a fairly disruptive job site - I even referred to it as the "dust cave" but this was expected going in. Thankfully, that period didn't last too long and the demolition and reconstruction was done very quickly. The scope of the project was pretty large. I initially had 5 individual rooms which were all transformed into an open living space. There was a ton of tile being laid down and all of the surfaces were redone. I worked with Kathy, the interior designer, who was extremely helpful when helping me pick all of the surfaces, colors, backsplashes, etc. Kathy made the selection process very simple and helped me understand what looked good, such as deciding between a single or double sink. I was also able to make changes along the way based on my preferences, such as slight change made to the kitchen island. 5 years later, I decided to give RW a call for another remodeling project. The same designer, Arthur, came back a few days ago, and said, "wow you must get a lot of compliments on this" which is true! I look forward to working with the team again. I have referred friends and neighbors to RW and I encourage anyone looking for a remodel to consider them. Everything was done in a very proffessional and timely fashion and completely met my expectations. I first heard about RWR through friends who heard it from Rosie and the House radio show. I gave them a call around June of last year and set up an initial appointment to get an idea of the scope of the project for my kitchen and master bathroom remodel, and to find out about their credentials and reputation, and to get an idea of what I wanted to get done, as well as to find out about their policies and procedures. They seemed great so I went ahead with the project. What stood out to me, probably the most, is that they had a schedule of who was going to be there and what was going to happen throuhgout the project. It wasnt EXACT but most of the time i knew exactly what was coming and goingI had my grandson and the dogs and the cat with me so it was very important for me to coordinate everything so im glad they were able to tell me what exactly to expect. I knew exactly what I wanted going in - i didnt know what it took to do it but i knew what I wanted. They listened to what I wanted and they delivered on exactly that. There may have been a couple bumps in the road but overall it was very smooth - I'm sure that's common with most of these projects. Another thing that I appreciate is that they knew that this was my living space so they were very courteous of my home and kept everything clean - they even put plastic up and kept everything as clean as possible. I appreciated this because of my grandson's and my allergies. They were also Very respectful of my dogs. The workers were respectful of my privacy, animals, and overall living condition and space. The team members were also great. One of the team members, Wes, very was was very personable and helpful with the process - he went over and above what anyone else would do and made the experience very pleasent. The interior designer, Kathy, was also very helpful - she wouldnt push me but she'd make helpful suggestions to but was never too pushy. As far as my design people would tell me that I couldnt do certain things but Kathy was always there to say "yes you can" and made it happen so everything was to my taste. My friends, family and neighbors are all very impressed with the work - one of my neighbors even asked if I could help them out with their remodel! I would definitely recommend RWR to them or anyone else looking for a remodel project. We initially came up with the idea of remodeling our home and heard of Republic West on KTAR radio. We interviewed 3 companies in total and did our research but we liked the way that RW had the website set up with the Dream Assurance Plan, the Customer Rights, etc all laid out and organized and throrough throughout the site and felt they were a good company to go with. We called them and scheduled an initial consultation at our home in March with our designer, Steven and had a very good first impression - He exedued a lot of experience and that was great since this was our first time remodeling so we didnt know exactly what to ask. He lead us on to feel us out so we know what we wanted. We had a basic idea of what we wanted but he was able to give us a much clearer vision. The kitchen for example was much more than we could have initially envisioned. Pretty much the whole kitchen was his idea - we had an initial idea with what we wanted but he came back with a computer rendering as well as a blueprint / floor plan and we were amazed - it looked much better than we were originally expecting. We ended up starting the project in the middle of summer. We had to take the wall down and they put up a temporary wall. Needless to say, it was hot! We hoped they had that new wall finished quickly but unfortunately we didnt make it before the monsoon season. There was some initial delays which resulted in the storms coming in. It seemed like not much was happening at first but once things got into motion they were here every day. One thing we appreciated is that they cleaned up after they were done every day. We were prepared to clean but they always made sure they left it as nice as possible. They also made sure they caught up from the delay. They stayed consistent with the schedule as much as they could but there were some issues as far as coordinating with the workers but you can tell they were able to adapt to situations quickly - the foreman jack was able to get people in and out as needed. Despite the slow start they made sure they met the promised deadline and actually finished a week early. Overall, Jack was really responsive to situations - I spoke to Steven about replacing a window with a french door - I wanted a door there but I would need some kind of air circulation so I wanted one with a side light. They ended up giving us one without sidelights but they were able to easily fix the problem - they were always very responsive and quick and jack was always there to remedy it. Overall the kitchen and fireplace totally exceeds our expectations to this day - the fireplace the tiling and everything else turned out wonderfully - we would have never anticipated anything better than this! We first discovered Republic West Remodeling from a mailer ad in 2006 and decided to give them a call since they were nearby. We went to the showroom and decided to set up an initial consultation since the pricing seemed very fair for the product. We were very impressed by our initial consultation since everyone was very professional and considerate of our time. I really enjoyed meeting with the designer, Arthur. It was interesting to watch his eyes as he envisioned all of the future potential for the kitchen in front of us. The computer renders he created definitely helped with my decision since visualizing isnt always easy to do so seeing the renderings in front of me was a huge plus we were able to make changes along the way and that was important to us - although we only needed to make a couple of adjustments to the original design. such as the great addition of our wine rack. What really stood out to us is that everyone did what they said they were going to do - and when they were going to do it! They stuck with the initial schedule and "blueprint for success" they originally gave us from the very beginning. The work crew, and Alex, the foreman was outstanding. We always knew in advance when he was going to show up and always stayed extremely consistent to the schedule that was given to us beforehand. Not only was it consistent, but it was fast too! None of my friends could believe that it was all completed within two weeks - and without any problems. Something that was really nice When they brought us the cabinet doors they let us inspect each and every product and allowed us to mark them as acceptable or unacceptable without question. Another thing that was important was they cleaned up every single day. They took care of disposing everything and gave our cabinets to Habitat for Humanity for reuse. Overall, we did not feel rushed, or pressured, and had plenty of time to change things along the way. Everything was laid out in front of us so expectations were made very clear and were met. We are moving forward with RWR for a new remodel project for our bathrooms and are looking forward to it! Republic West did a fantastic job with our almost total kitchen remodel. The almost part is one of the reasons for the high score. We had them rip out all of the old cabinetry, remove a soffit above the old upper cabinets to allow taller new ones. We really liked the existing granite cabinet and island tops, and they were able (miraculously, we think) to carefully remove the granite and then reinstall it over the new lower cabinets and the island. The existing granite looks great with the new tile backsplash and the new dark wood cabinets. When we moved into this house 2 years ago, we purchased all new kitchen appliances, and Republic West reinstalled them perfectly. Our original contact was Steve Yeomans and our advisor on fixtures and tile was Kathy Molnar. They both were very helpful and respectful of our needs. The star performer was Ann Hendrickson, our project manager, who was always on top of things. We would also like to commend Oscar, the carpentry guru and Carlos, the granite whisperer for their obvious talents. A job well done! We moved into our 1996 single story home in late 2012. We originally moved from a 4100 square foot home with a full basement and a 3 and half car garage into this new 2500 square foot home with a 3 car garage, so we definitely wanted to utilize every square foot of the home to make use of the space the best we could. We made the decision to start making some changes to the home in 2015. Our close friends in Phoenix had recently completed a project with Republic West Remodeling and recommended them to us. We have always trusted their judgment but we were completely convinced on using RWR after seeing their finished product. Our first project to take on was our master bathroom - an old 90s style bathroom with a standalone shower and a soffet that ran around the whole ceiling which made the ceiling come down and really made the space feel small. Arthur Gambino, the designer who came out to our home, came out to give us a feel of what we could do with the space. Arthur said there was no reason to have the soffets and that we should raise it to the 9 foot ceiling to not close in the space. There was a lot more we were able to accomplish such as replacing the carpet with tile, putting in a bigger shower, and removing the bath tub. We also put in a cosmetic station with an appliance garage to store appliances such as curling iron, beauty products, etc. We also put in nice self-closing cabinet doors and drawers which we love. Ultimately, we were extremely happy with project from start to finish. The contractors were there on time, we got a set schedule provided to us that told us who was going to come out and what they were going to accomplish. 95% of the time everything was exactly consistent to the original schedule but if an issue was to arise, they would be able to resolve it quickly and smoothly. We also loved our interior designer, Kathy, who helped us pick the granite, the sinks, the shower fixtures, etc. Overall we felt very comfortable working with her and the rest of the team. Since that project went so well, that propelled us into working on our big remodeling project. Arthur came back and sat down with us to ask what we envisioned. We gave him a rough idea and he added some of his own concept - we explained that making the most of the space and using storage space was one of our biggest issues and we definitely wanted that addressed. We were able to look at him and see the wheels turning as he explained to us his vision. Arthur is very good at what he does as far as painting a picture to help us understand our vision. He was then able to translate all of that into a concrete computer rendering to present to us. After seeing it, we said "Wow we can really do that in this space?!" We loved what we saw so we decided to proceed. It started with a handshake and that was it! It's one thing to talk about and look at the computer rendering but once everyone has performed their magic, it's just amazing. Kathy is a dream to work with - she is so patient and she juggles so much - I don't know how she handles it all but she does. = She helped me pick out our porcelain floor that everyone mistakes for real wood with the variance in color and plank size and everyone just loves it. Everything flows together so nicely and so organically with the color scheme - the brown in the countertops bring out the floors while the lighter colors in the floors bring out the countertops. There is a great balance between warm cool colors throughout the room. Republic West also has its share of aritisans - they were all so professional and friendly and polite and considerate of my concerns. RWR consistently went above and beyond - Arthur said they don't want me to be anxious about anything! We were concerned about about moving our furniture but they took care of everything. One of his most common phrases was "dont you worry!" Republic West always came to the rescue. We couldn't be happier with the remodeling process and the finished product. We're used to a more traditional style home coming from the Midwest so we did a complete 180 with the modern design and we couldn't be happier with it. Our daughter came over for Christmas and said "Oh my gosh, this is a totally different house!" which was ultimately our goal! There were originally a lot of arches and south-western influences that we wanted taken out and replaced with more modern design and lines. My daughter saw all the new modern elements of our light fixtures and said "Way to go!". You get what you pay for and we got exactly that and more! They went over and beyond what most firms "have to do" - they always made it a priority to take care of our smallest needs. It was the small details that ultimately made the largest impact for us - that's what I love about RWR. We would highly recommend Republic West for large or small remodeling projects. "Every aspect of the job was as perfect as we could have expected, and most importantly, it was completed on time as promised." Flooding in the kitchen ruined this customer’s cabinets and floors, prompting her to hire Republic West Remodeling to remodel her kitchen. Watch this video to see her beautiful new kitchen. The Kasses are very fortunate to have found Republic West Remodeling, and their support team, along with their out-standing construction crew. We cannot praise them all enough for their superior ethics and professional work. Even though it is hectic on your end to satisfy the client, you guys make it seamless and appear to take everything in stride. It’s also been a pleasure for me to work with you, your partners and everyone associated with RW. The end result is fantastic. Our remodeling is all completed and our house looks great. Republic West did a super job on our bathrooms, fireplace tile and kitchen backsplash. They were clean, efficient and professional. The tile layers were exceptionally great – they even worked some Saturdays to get the job done. [LC] just completed painting the inside of our house. We could not be any happier with the job. Everything looks great – the accent walls are very artistically located to enhance the color on all the walls. We absolutely love it – best paint job we ever had. Also, these guys were so great – they helped me adjust the temperature on the water heater, fixed the water hose reel in the back yard and even brought in the garbage can from the street after pick up. Thank you so much. When the big day came for the installation, I was pleasantly surprised to find your installers arrived right on time. They were very professional and their workmanship was flawless. When they finished, they cleaned up the debris and when they left you couldn’t tell anyone had been here (expect for the beautiful new door, of course!) You are fortunate to have men of this capability and integrity working for your firm. It is a pleasure to do business with a company that actually meets customers’ expectations. We live next to a fairly busy street and before the installation we could hear the school buses and the garbage trucks coming down the street. Now you can hardly hear a sound. We also want to compliment your staff of installers. They were professional and did a marvelous job. Over the past several years, I have been remodeling many aspects of my home. While I have had some very fine workmen here, along with some bizarre and disastrous experiences, my experience with your firm has been so good, I wanted to write to thank you. John’s old house in Old Town Scottsdale was ready for some updates. Seeing what Republic West Remodeling had done to several of his neighbors’ homes, John decided to hire us to “bring the indoors out and the outdoors in.” Listen to his story about making his home environmentally friendly and economically efficient. Since managing property provides my living, contractors and the people that they employ are not unfamiliar to me. The crew of men who worked here for several days were all professional, respectful, pleasant and really quite entertaining to live around for that extended period. It was a unique experience not to have to monitor this crew as I have had to in the past with many others. Your attention to detail before the work was done and the fine workmanship was greatly appreciated. This kind of attention to detail seems rare today. They were very professional, punctual, courteous, and have a high regard for the true meaning of “Customer Satisfaction”. Our past experience with various kinds of services in the Phoenix area has been generally unsatisfactory. Your staff is certainly the exception. Julie from Tempe LOVES Republic West Remodeling. Take her word for it! Listen in as she describes the many home remodeling projects that have been completed for her by RWR. You are the best. Because I live next to a busy street, it is so nice to have the house quiet now; draft free isn’t bad either. Thank you, too, to each of you for your professionalism, courtesy, and friendliness; all essential qualities if you want your business to be successful. No high pressure salesmen and the three installers did an exceptional job. Not only that, but they were twenty minutes early. That never happens in Arizona. Just a brief note to thank your organization for a very professional job, from the sales presentation to the superb installation, with outstanding project coordination. Selecting a company from the yellow pages is always a leap of faith, but you did exactly what you said you would do and when – a very rare occurrence today. Every time Suzi moves, she invites Republic West Remodeling with her. She’s hired us to do several projects in several different homes. Listen to her as she describes her experiences with our designers and installers, cost certainty and time certainty. I would like to take this opportunity to thank you for the excellent service that all of your employees provided. I believe that what makes a company stand out above all others is the service that is provided. All of your employees are superior professionals. Each person I dealt with at Republic West has been professional, and very pleasant to deal with. I could not ask for more. Republic West can be really proud of these people. Your attention to customer service is really exceptional. We will try to put into words our happiness and satisfaction with all of you at Republic West. Each person we dealt with in Republic West was knowledgeable, dependable, kind and oh so patient with our changes we made as we went along. So, to those of you we dealt with at Republic West, we raise a glass of champagne from our shiny kitchen, and say kudos, and thank you all for a wonderful experience, fond memories, and a beautiful new kitchen we love. From the first time we called, you and everyone showed up when promised. The communication with your company was exceptional. However, the installer made the job exceed our expectations. On the last day, I actually cried, it was so beautiful. I just wanted to let you and Republic West know that our kitchen remodel was a positive experience and it was a pleasure working with you. My husband and I visited with several remodeling companies as we were making a decision about the choice for our project. We were very happy that we chose Republic West. In our opinion, you are a first class organization and we would gladly do business with you again. On behalf of my wife and me, we thank you. Only caring professionals, painstaking and meticulous, could have created our brand new happy kitchen nearly a year ago from the dingy 1957 original monstrosity that we had lived with. Your installers were always pleasant to have working in our home and had enthusiasm for each day’s challenges. They took the time to get each day’s work accomplished, often working later than I would have expected, and kept to the schedule that had been promised. One couldn’t ask for more than that. I recently hired your company – Republic West– to totally remodel our family’s kitchen, as well as install new windows and a large door. I felt compelled to take the time to write you a letter letting you know how pleased I am with the final results of our remodeling project. Not only was the project done in a timely manner, your office staff kept me informed and up to date periodically. This is the second job I have had your company do for me. Everyone we have been in contact with at your company has really been a pleasure to deal with. Your company has given my husband and I some of the faith and trust back in our lives which we lost while in the process of dealing with some of the companies here in Arizona. We are grateful for your staff, your company and your policies, which has insured us quality work. You can tell more about the company from the employees. When they do a good job and take great pride in what they are doing, you can tell they are happy with the environment of their workplace. This is the second remodel we’ve contracted with Republic West. From the moment the sales person walked in for our initial assessment, to the time the last workman left, we were treated in the most courteous and professional manner. Your installation team was very accommodating and courteous. Your company is a great credit to Phoenix. And as for your employees, they are tops. Everyone deserves many thanks, especially our installer for his attention to detail and his emotional support. I was impressed with their hard work and positive attitude. I want to acknowledge a job well done by all. Also, I wanted to tell the company how proud they must be to have wonderful young men like…on their staff. You should be very proud of all your employees. Thank you for a very professional job, from the sales presentation to the superb installation, with outstanding project coordination, you did exactly what you said you would do and when – a very rare occurrence today. I am fortunate to have found an employment “home” where integrity abounds. Whether it is notifying a vendor of a duplicate credit or making sure that each worker is treated fairly, Republic West will uphold their values and principles. We are so pleased with our new kitchen. Again we thank you all for making our dreams come true. Transform your house into your dream home! Contact us today for the highest quality luxury home remodeling. We proudly serve Scottsdale, Phoenix and the Phoenix Metro area. Call (480) 478-8700 for your free consultation or contact us online.